(A) Using the numerical values above, draw a CLG of the short-run and long-run Phillips curves. Label the current short run equilibrium as point B. Plot the numerical values above on the graph. I find it's most beneficial to draw AD/AS curve with Phillips curves. Phillips Curve Cheat Sheet here. Understand that a country with a higher unemployment 7% compared to 5%, and with a low inflation rate of 3% that the appropriate AD?AS curve would be a recessionary curve. 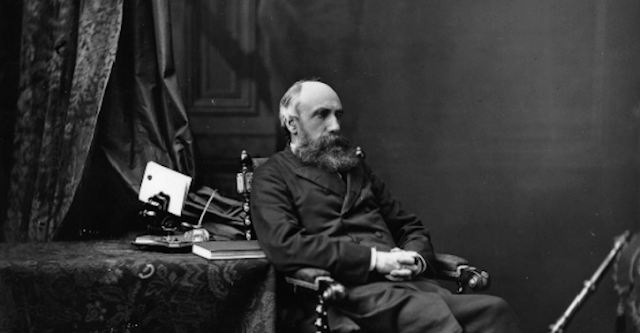 a shift of the AD curve is a movement on the SRPC. (B) Assume the government of X takes no policy action to reduce unemployment. In the long-run, will each of the following shift to the right, left or remain the same? (i) Short-run aggregate supply curve. Explain. In the long-run employees will accept lower wages, wages are a resource cost, lower wages will shift the SRAS curve rightward, prices will fall and therefore output will increase back to long-run equilibrium at a lower price level. 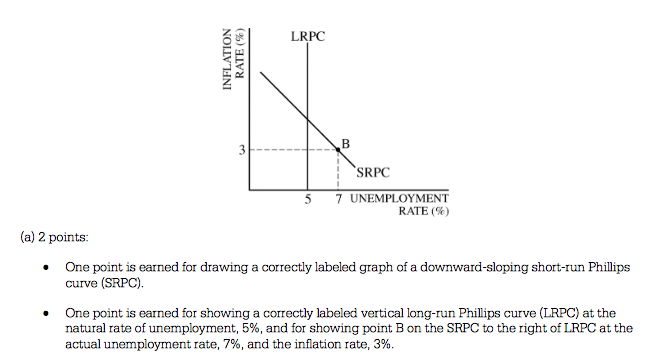 The long-run phillips curve is unaffected but the short-run phillips curve would shift leftward, inflation would decrease and unemployment would decrease back to the NRU, natural rate of unemployment. (C) Identify a fiscal policy action that could be used to reduce the unemployment rate in the short-run. Fiscal Policy Cheat Sheet here. 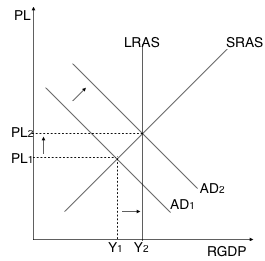 (D) Draw a CLG of the AD/AS graph, showing the effects on equilibrium, PL and RGDP from an expansionary fiscal policy. As the government spends, consumption increases pushing AD rightward, PL increases and RGDP increases along with (Y) real incomes. (E) Based on the change in real GDP identified in part (D), will the supply of County X's currency in the FOREX, increase , decrease, or remain the same? Explain. 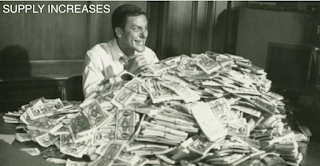 AS imports increase, the supply of our currency increases in the FOREX. Again, if we are importing goods, we must be dumping our currency into the FOREX to buy the foreign currency to pay the foreign producers of the imported goods we want to buy. 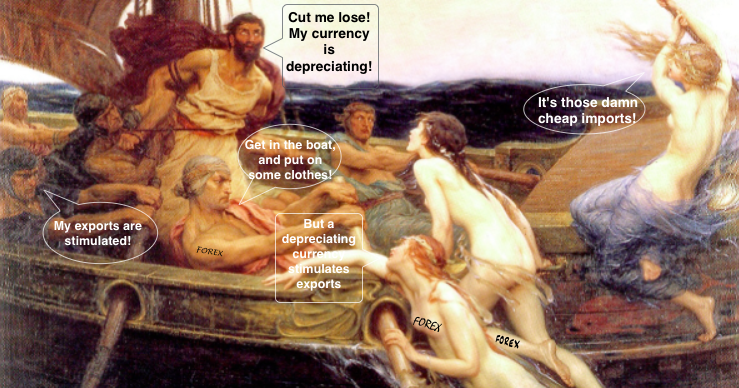 (F) Based on (E) does our currency appreciate, depreciate, no change. Understand that the valuation of our currency is calculated in relation to the demand/supply of our currency in the FOREX. 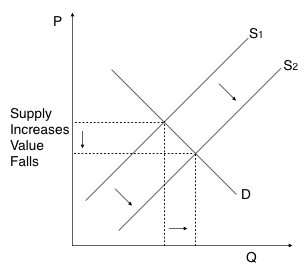 So if the supply of our currency increases in the FOREX, we can use a simple supply/demand graph to explain what is going on. Our currency will depreciate as more and more of it is dumped into the FOREX market buying imported goods.